Alicat PCRD series allow for stable and response control within closed volumes, they reduce wasting costly gases as there is no continuous bleed valve. 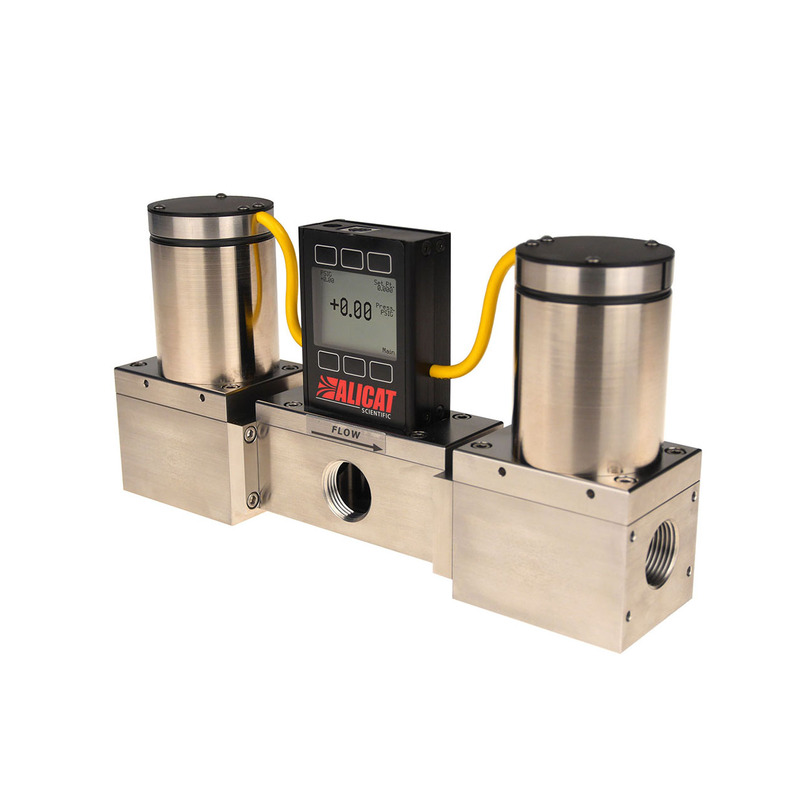 PCRD series incorporates a second, independently controlled exhaust valve that actuates only when the pressure needs to be reduced, minimising the amount of gas venting. The PCRD series pressure controller from Alicat is repeatable and accurate with calibrations up to +/- 0.125% of full scale accuracy. 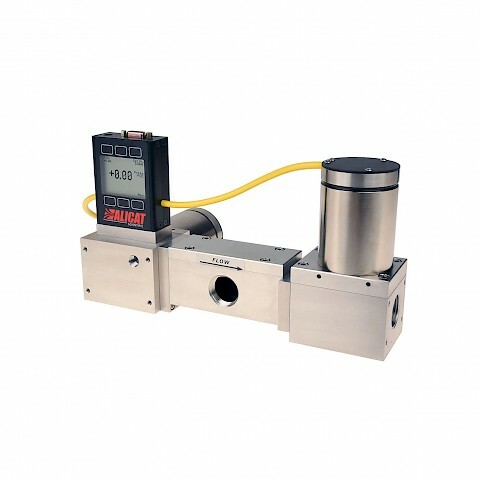 Every PCRD series controller has a ¾” NPT female connection and are for use with higher flow applications where the flow rate exceeds 20 SLPM. Every device has a 200:1 turndown ratio with many standard pressure ranges available, standard pressure units include PSIA, PSIG, mmHG, inHG, inH2O, mBar, Atm, Torr and kPa. 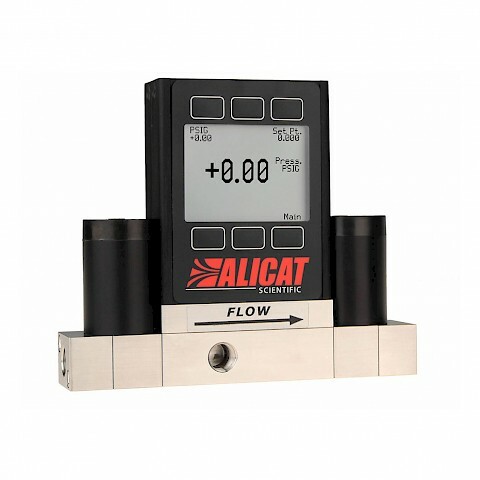 The Alicat dual valve pressure controller features a local LCD screen and push button user interface to change process variables. A colour TFT display is also an option to. RS-232 communications are standard as well as an analogue output signal such as 0 – 5 VDC. Modbus-RTU, available over RS-232 or RS-485 and PROFIBUS protocols availble. Every Alicat pressure controller is backed by the manufactures limited life time warranty and ships with a NIST traceable calibration certificate.